If you always thought believers and disciples were one and the same, you might be shocked to find out that Jesus would disagree with you. The truth He describes in John 8:31-32 reveals the reason so many believers aren’t walking in freedom. They’ve never understood that discipleship is the path to freedom. How does that work? Find out in this exciting series! 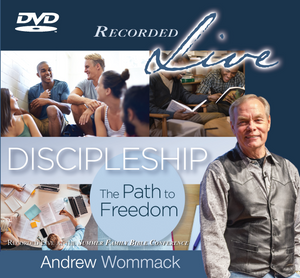 Andrew shares what it takes to become a disciple, what abiding in the Word looks like, how to triumph through hardship, and much more! Jesus came to make you His disciple. Let Andrew show you how to walk the path today.